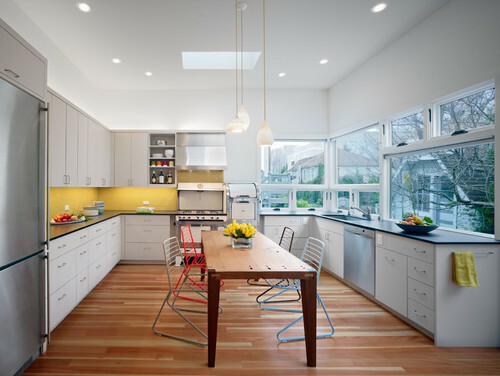 Neutral kitchens are getting a lot of press right now and for good reason–they’re timeless and polished. 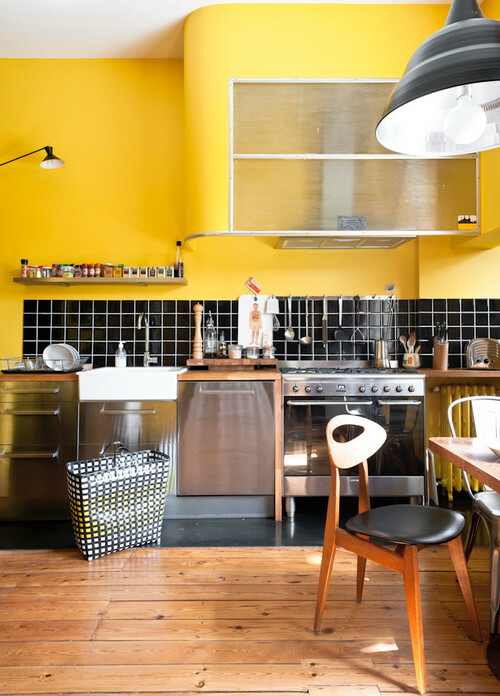 But let’s not forget about colorful kitchens, which are bursting with vivid hues and can transform the space where you cook into a wonderland. 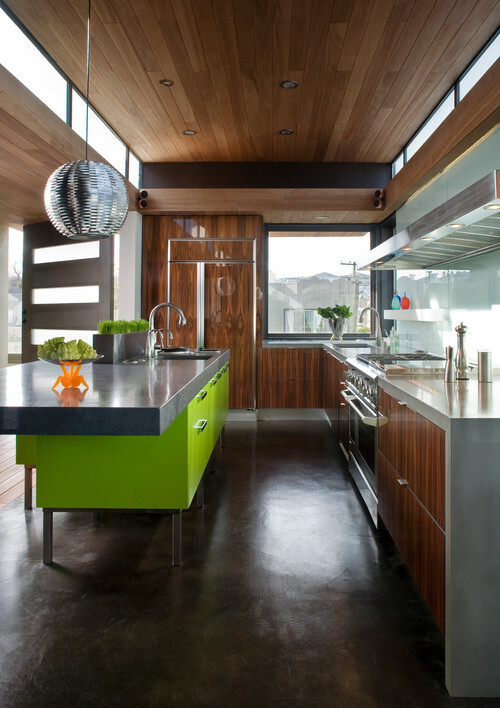 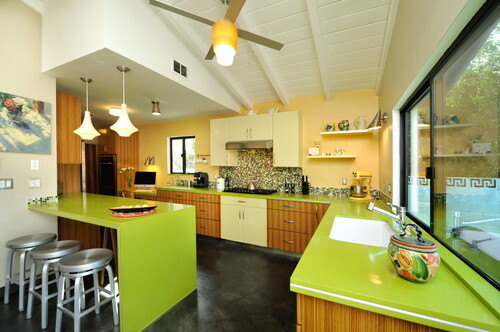 Check out these kitchens that will have you tasting the rainbow. 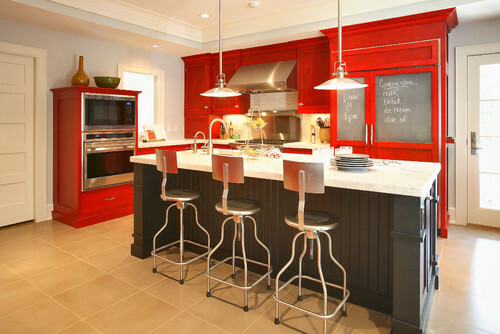 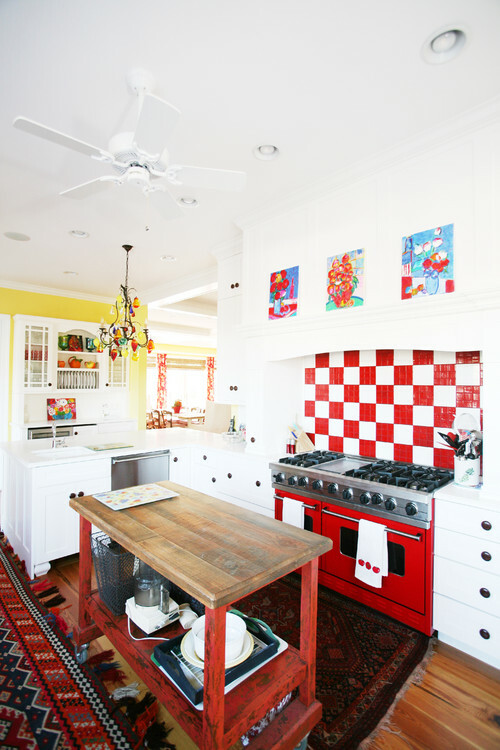 These fiery kitchens are a great way to spice up the place that always seems to be the life of the party in your home. 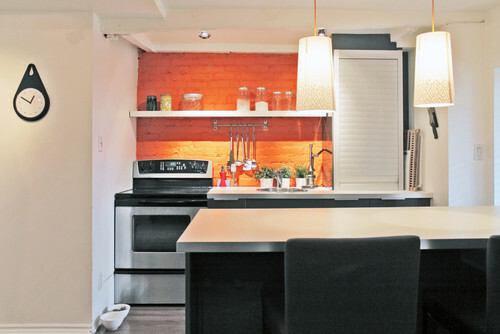 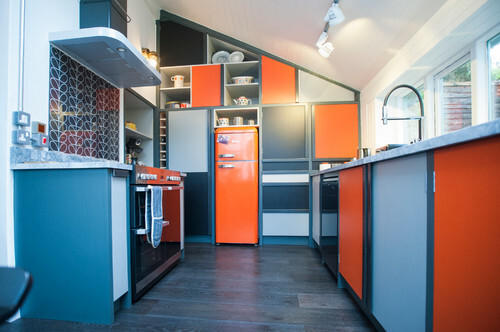 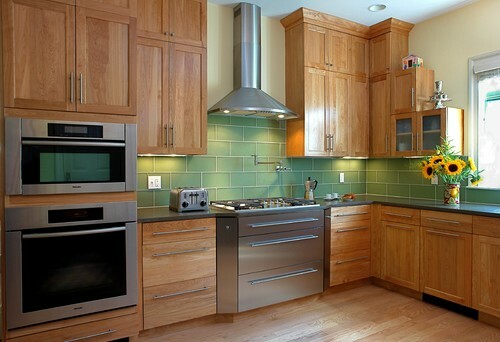 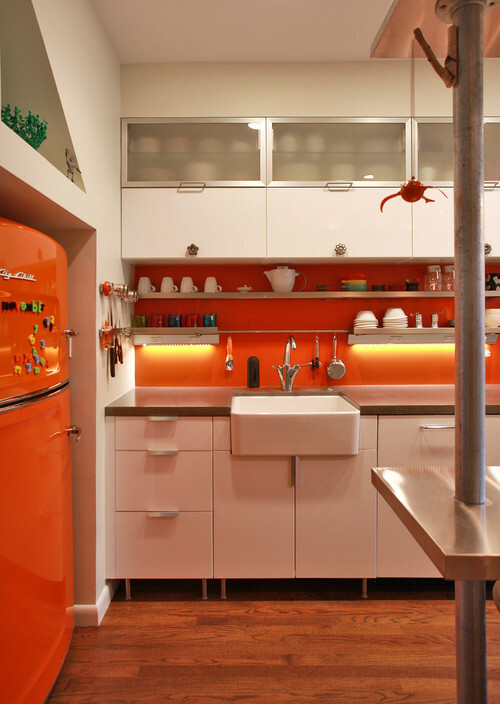 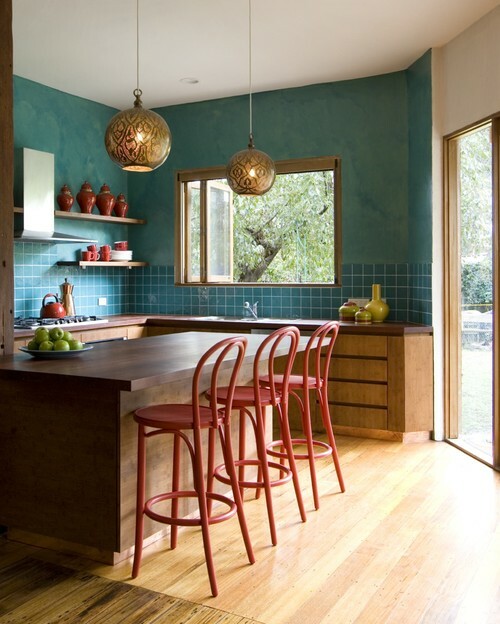 Don’t be afraid to incorporate this clementine-hued color into your kitchen. 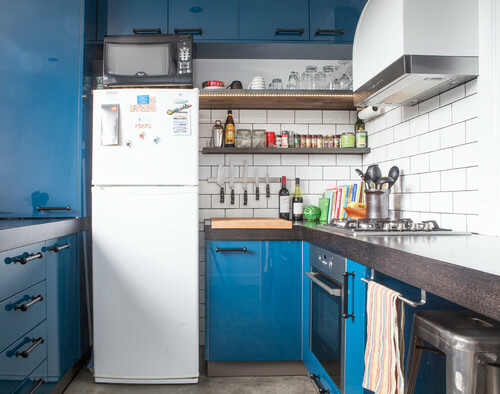 It’s more versatile than you think! 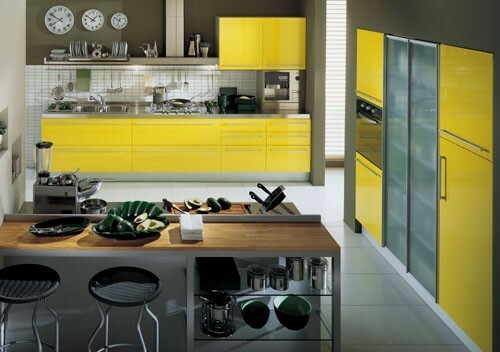 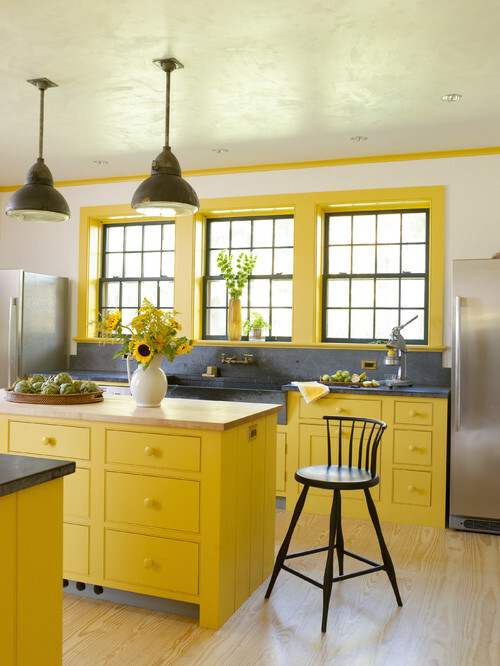 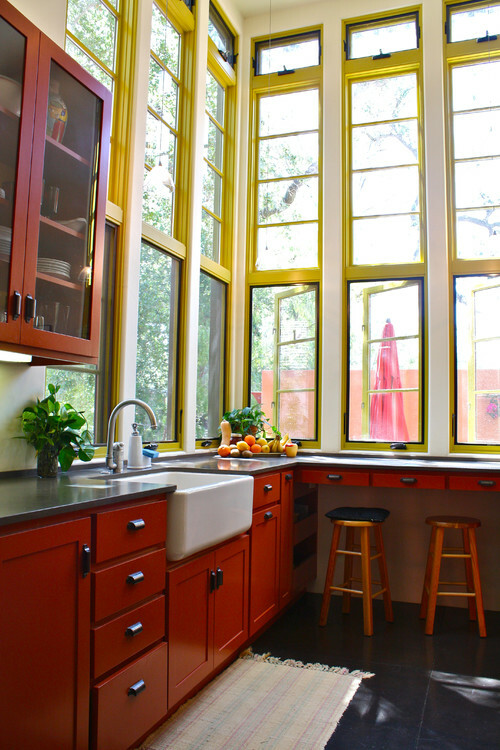 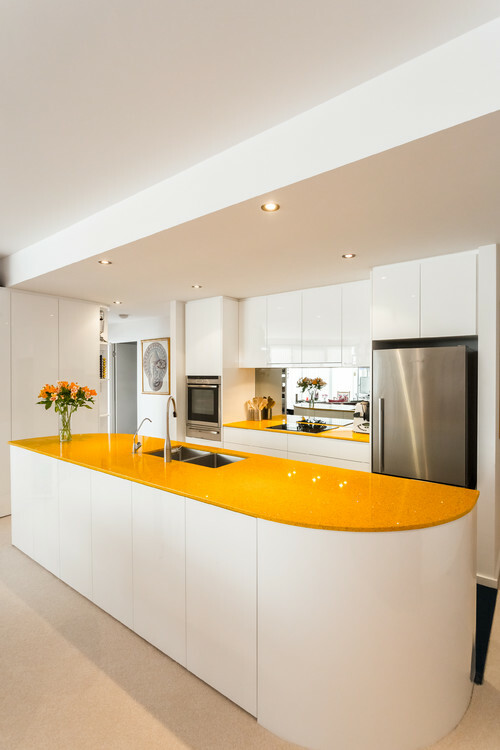 Sunny yellow kitchens exude warmth and can instantly make your space feel more inviting. 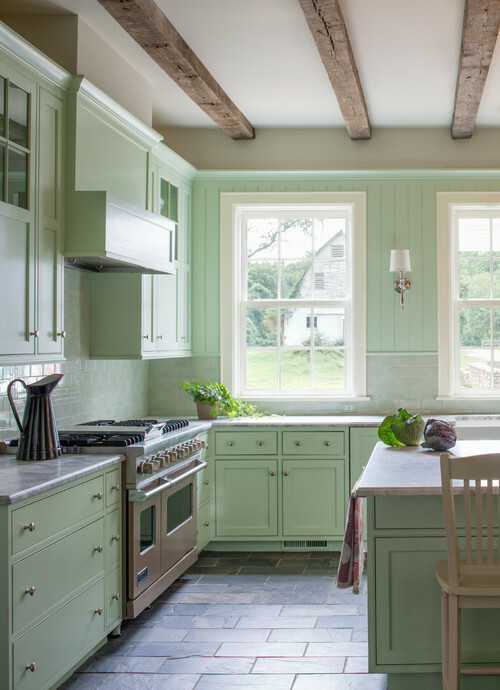 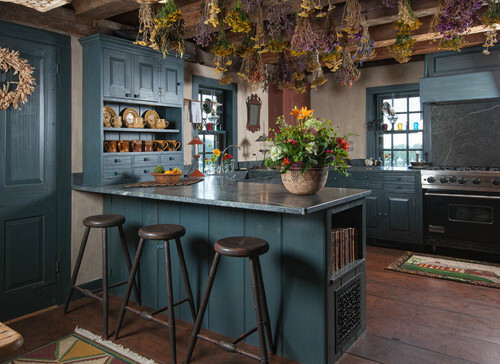 From mint to hunter, these green kitchens look and feel like a walk in the park during the spring months when trees and plants are blooming. 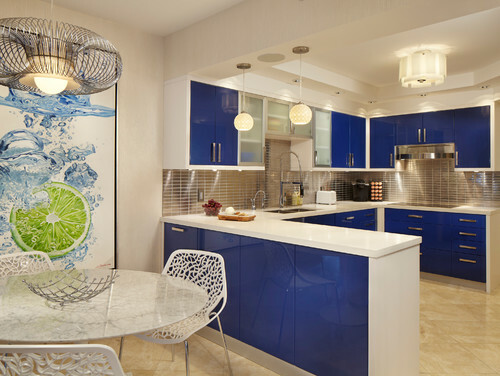 Blue adds a dose of serenity to the space where life happens most in your home. 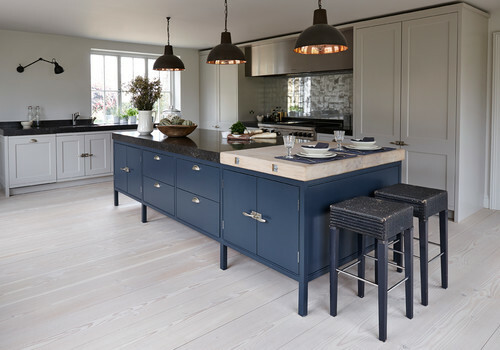 We’re calling it–indigo is the new neutral for kitchens where black is too harsh but white is too bright. 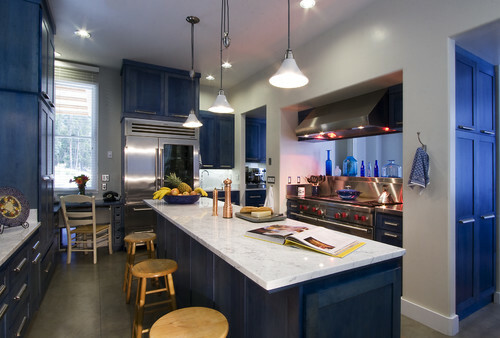 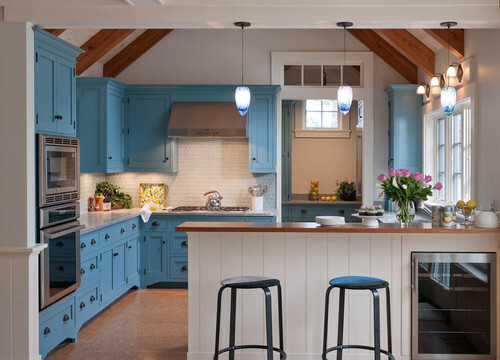 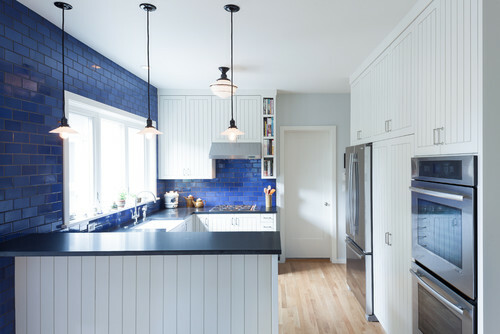 A good indigo will take your kitchen to a whole new level. 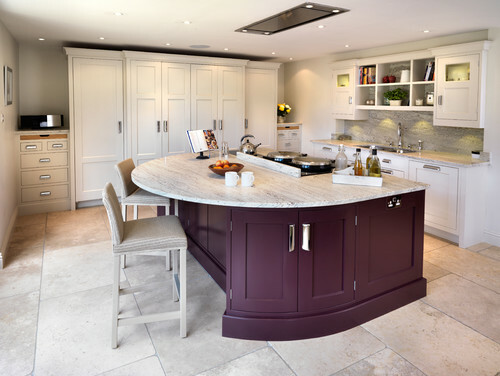 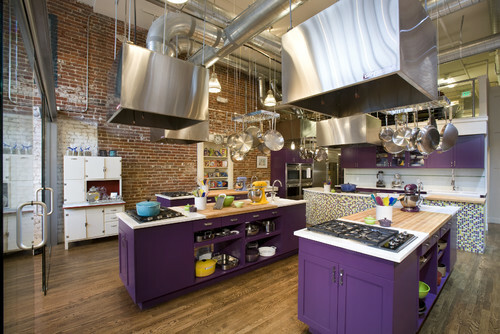 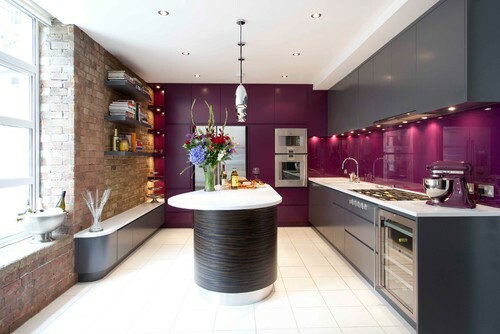 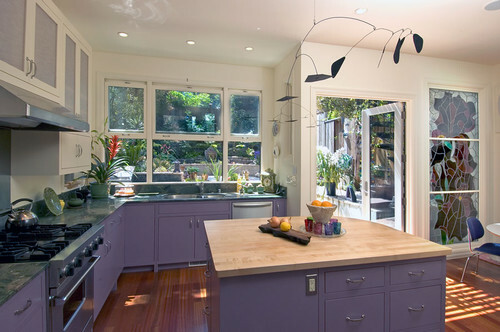 From lilac to eggplant, you’ll never want to leave these purple and violet kitchens.